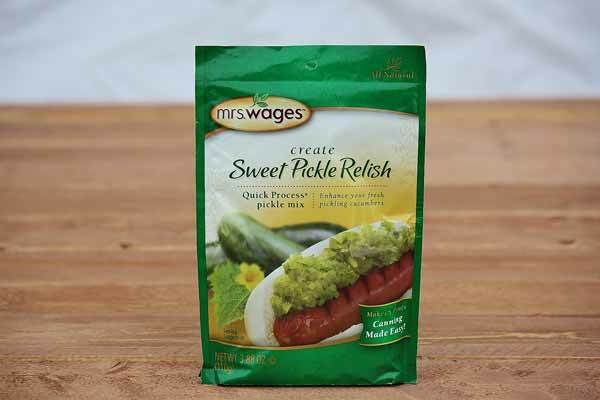 Sweet pickle relish for hot dogs and sandwiches. Make delicious homemade pickle relish with this mix of natural herbs and spices. Just add vinegar, sugar, and water in the canning process. Makes 5 pints. Made in the USA.